The excellent Borderlands 2 and the less excellent but still kind of okay Pre-Sequel are getting 4K texture packs as part of a free download. It was announced as part of the Borderlands PAX East reveal extravaganza (as no one is calling it). These packs, which arrive April 3, will redo textures for vehicles, characters, environments, and even weapons across the game. It’ll also add some other welcome touches, such as better anti-aliasing, higher resolution dynamic shadows, and better Screen Space Ambient Occlusion. This exciting new update will also be available for The Handsome Jack Collection, which includes both games. As if I needed an excuse to go back and play through Borderlands 2 for the tenth time. While this is pretty welcome news for fans of Borderlands, it was easily the smallest announcement in what turned out to be a vast sea of Borderlands related announcements. 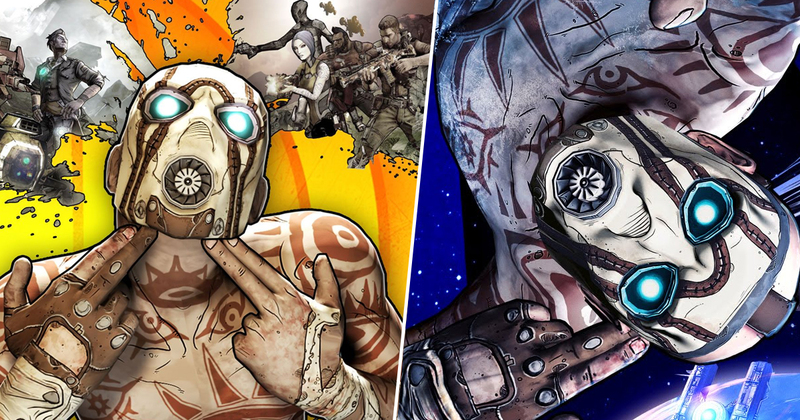 In addition the the 4K texture packs, the livestream also confirmed a Borderlands card game, and a current-gen port of Borderlands GOTY edition – though the cowards at Gearbox haven’t deigned to put the game on Nintendo Switch, which hurts. Of course, the big news is that Borderlands 3 was finally, officially, properly confirmed. Even after the stylish teaser trailer that came the day before the full announcement, Gearbox and 2K Games refused to outright confirm that it was actually the game we all thought it was until last night. Sure enough, Borderlands 3 is indeed coming, and it looks about as slick as you’d expect. Gearbox confirmed that we’d be getting more news on the latest Borderlands game on April 3, which is the same day Borderlands GOTY launches. There’s still no release date on Borderlands 3 yet, but I’d imagine we can expect to see it arrive late 2019/early 2020.